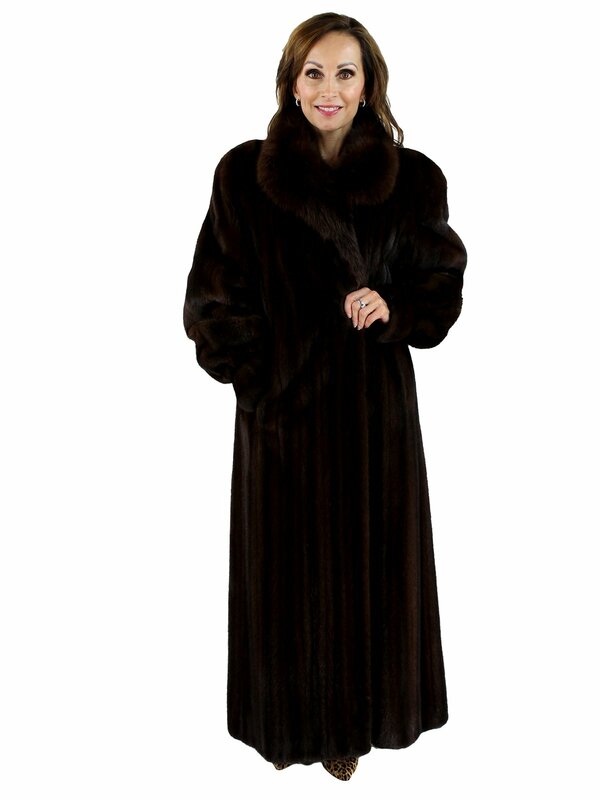 Day Furs A+ garment, constructed of top quality, let out female mink skins, fit sizes 12 or 14. The rounded sable collar adds that touch of luxury all ladies love. Velvet lined pockets and a pristine brown tone on tone lining add special touches to this exceptional coat. We can always adjust sleeve length and move eyes to make a garment the perfect fit.